Patsy's Bus Sales has been a top quality bus provider and the most qualified source for accurate information in the transit field since 1974. We have a long list of prestigious customers such as Harvard, MIT, Dartmouth College, New Hampton Prep School, and numerous hospitals, nursing homes, summer camps- the list goes on! The Patsy's Companies, partnered with the Profile Group of dealerships, offers a network of over 40 product lines in 22 locations throughout New England. We supply our customers with endless access to parts and service. 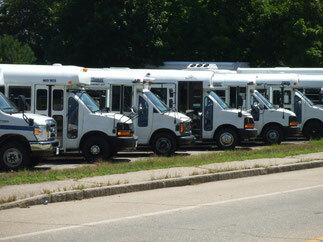 A fixture in New England, we have been providing the region with outstanding commercial and consumer transportation since 1917! The Patsy's Companies and Profile Group of dealerships deliver it all!